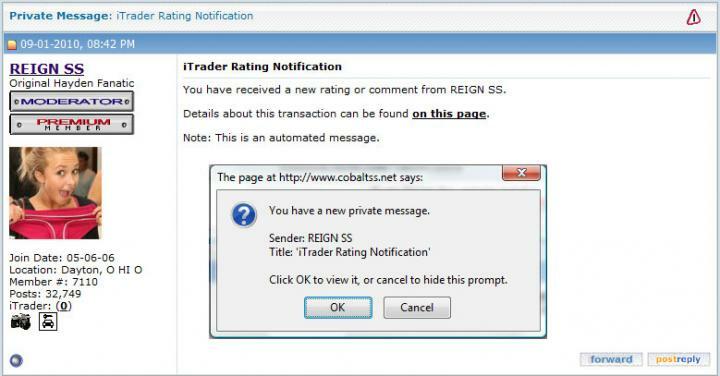 ScionLife.com has recently introduced the iTrader transaction rating system to the forum. The following are some helpful tips on how to make use of the new system to better the site. This really, in a sense, obsoletes the Buyer/Seller Experiences forum... moving forward anyway. The only other time this forum will be needed is if someone has a really bad experience outside of the vendors on this site. I think this will be good, although I have never had anyone on this site rip me off, but still their are some bad eggs here as well. Just curious but is this transferable to other forums that use the same system? AFAIK, it is forum specific. Like I have one rating over on NASIOC too... but a different amount here. Though a central DB for something like this would be pretty nice. yeah...could always post a link to your score on other forums in a FS thread if you wanted to also..it would definitely be a cool feature though! 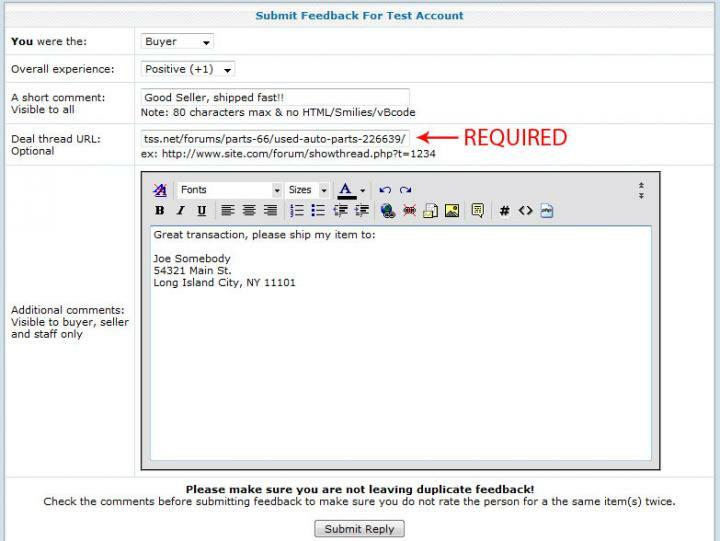 I usually link to my eBay feedback if I'm new somewhere... that's what I did at first on NASIOC. I have like 350+ on eBay. No negatives ever. I get an error when leaving a feedback. "There was an error in your deal details!" I think I did everything right. Don't know what the problem is. Please help. Fred, I believe the "problem" you are running into is that both the PPC forums and the iTrader ratings require a person to have been a member for 14 days or more, AND to have 50 posts or more. This is to prevent "hit and run" sellers and ratings, and while it does prevent those who hare new or who have not posted much from full participation, it has proved a valuable requirement over the years. Ah, I see. Well that's fine. I remember reading it on one of the sale sections but I didn't know that also applies for the buyer and seller experiences. Anyways, I'll be participating in more discussions/topics because to prevent "hit and runs" it's a effective policy. how many posts do i need to be able to see and use it? So I guess I will not be leaving anytime soon a positive feedback to anyone excellent transaction with scionchicop. Does an xB have a high theft rate?